The Zukertort Opening was already discussed in one previous blog. The following game demonstrates the Nimzo-Larsen Variation of the opening. The Nimzo-Larsen Variation. It aims to develop the c1 Bishop at once. Solidifying the central pawn structure. This is crucial to the outcome of the game. Black correctly assessed that the center is more important than his right flank. If 15....cxb4, 16. axb4 Nxb4, 17. Qb3 a5, 18. Ba3.... then the resulting position favors White. It is unwise to take the pawn. If 18. Nxe4 cxb4, 19. axb4 Nxb4, 20. Qb3 Bxe4 then Black gains material. If 19. Kxf2 then Black replies with 19....Qxg3!! Kg1, 20. Nxb4 threatening 21. Qxg2 mate. No matter where the White King goes, he will have a hard time defending his position (i.e. 25. Kg1 Nf4!! and mate next move. If 25. 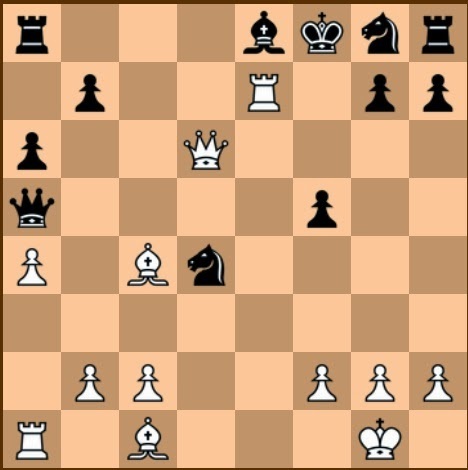 Ke1 or Kf2 Black still weaves a mating net with combination of Bh6, Nf4, Qe3, or Qh1). A weak move, seen as the ultimate cause of this game's loss. This pin is seen as much stronger than taking the Knight at once. The correct reply. If 8....h6 then White replies with 9. exf6 hxg5, 10. Re1+!! and White wins an extra piece with an overwhelming position. Strengthens the e-file. If 17. Nxd5, then Black replies with 17....Qd6, and the Knight is pinned. Black prevents the advance of the f-pawn. A losing move. However, the game at this point is beyond recovery. White is now positionally and materially superior. If 21....fxe6, then 22. Rf3!! and Black loses his Queen. The French Variation of the Sicilian Defense. Instead of the normal 6. 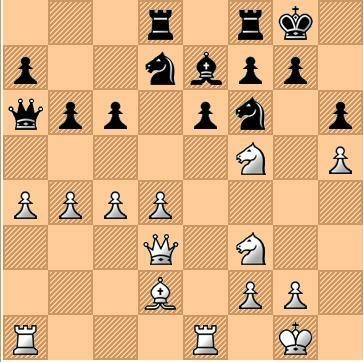 Nc3, White intends the keep open the b2-f6 diagonal for future attack. By a series of moves, White managed to control the b2-f6 diagonal, which would be crucial to the outcome of the game. If Black chooses 17.... Kh8, then 18. Qh5!! and 19. Qxh7 mate. 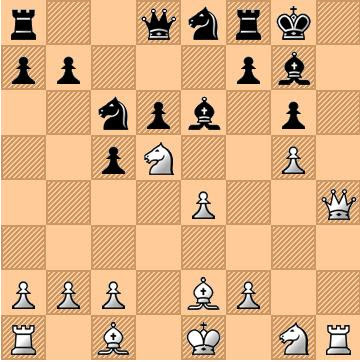 Faced with a mating threat at g8, Black sought an escape square for his King. The escape square is blocked! There is no way Black could prevent the mating move 22. Qg8. Superb play. 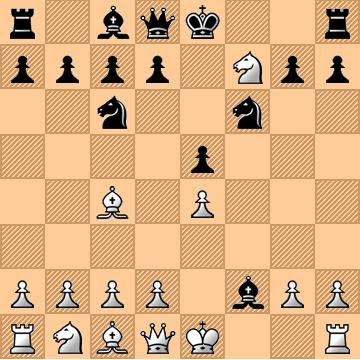 This game is listed as one the best chess games of all time. Once again, we are posting an article on the King's Gambit. In the gambit, the f4 pawn is being offered so that White could build up a strong center with d2-d4. 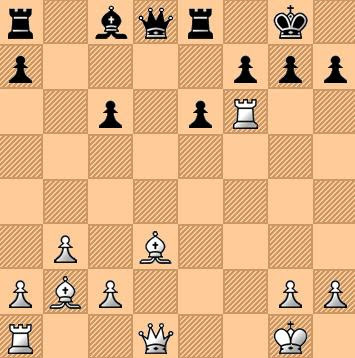 Theory has shown that in order for Black to maintain his f4 pawn, he must weaken his king-side. The Kieseritzky Gambit, said to be stronger and positional in nature. The Gambit was used by Boris Spassky to beat Bobby Fisher in a famous game during the year 1960. White sacrifices a Rook in exchange for an attack on the uncastled Black King. If 9....Be7 then 10. Nf6+ Kf8, 11. Bh6+ mate. Threatening both Bishop and Knight. If 21....Re7 then 22. Re1!! with a great attack. With material and positional advantage, White wins after 23....Kd8, 24. Qxa3. A simple yet elegant finish. 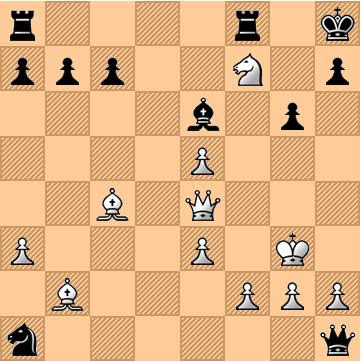 To see the POPULAR VARIATIONS of this opening, visit KING'S GAMBIT ACCEPTED. 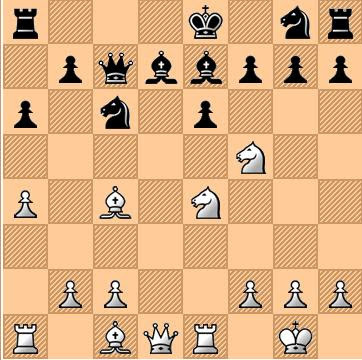 The Polish Opening or The Sokolsky Opening (also called The Orangutan) is an uncommon chess opening in which White opens with 1.b4. According to ChessBase, in master level chess, out of the twenty possible first moves from White, 1.b4 ranks ninth in popularity. Why not c3? If Black continues 6.....Ne4, then 7. Qd3. 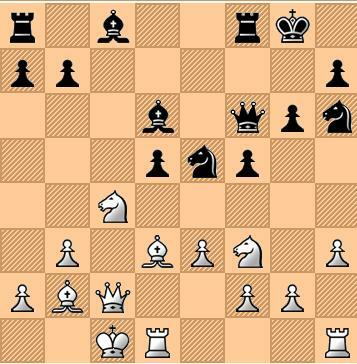 White cannot take the Knight because of a mating threat at e1. This move secures the d file for Black's attack. The move that clinches victory for Black. Forced, since Black threatens mate at d1. The culmination of a brilliant attack. The Pirc Defense looks a lot like the Philidor defense, but it is very different. The point of the Pirc Defense is to open up both bishops and attack the center with knights, not pawns. You fianchetto kingside which is normally followed by a castle. The light bishop is opened up. This defense strategy is not bad. In fact, it is tied with the Sicilian Defense for number one. The main line reads 1. e4, d6. That is the whole line. There are many variations to this, but this is where it begins. The following game between GM Wenzhe of China and GM Donner of Germany is also called the Chinese Immortal Game. If Black's King retreats to g7 then 17. Qh7+ Kf7, 18. g6+ mate. Black cannot stop mate. 19….Kg7 is answered by 20. Bxh6+ Kh8, 21. Bxf8 mate. Splendid ending of a brilliant game! This move has a dual purpose. It supports the c4 pawn and at the same time giving a way for the c1 Bishop. This opens the long diagonal, in which White has a better control. Better than 13. Nxe5 Bxe5, 14. Bxe5 Qxe5. The latter gives Black the opportunity to neutralize the a1-h8 diagonal. Better than 13....Nxd3, 14. Qxd3 Qe7. Remember that Capablanca played this game blindfolded. Could any other player visualize this move blindfolded? 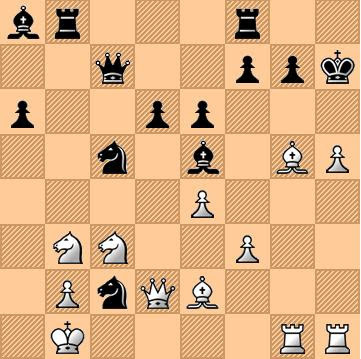 White's aim is to open the d file, and he has to sacrifice a piece to do that. If 15....Kg7 or Kh8, then 16. Rxd6 Qxd6, 17. Nxe5 with a strong attack. If 20....Qxd7 then 21. Qc3 and mate next move. Black thought that his last move (Rfc8) would pin White's Queen. There is no more hope. After 22....Ng5, then 23. Qh8+ Kf7, 24. Ne5+ Ke6, 25. Qxa8 and White has a tremendous positional and material advantage. A gem of a game. One of Capa's finest.